The most southern penguin breeding colony is the Adélie colony at Cape Royds (77°38’ S, 166°10’ E), in the Ross Sea sector of Antarctica. Nevertheless, they are still a daunting 1,400 kilometres from the South Pole, a fact underlined for Ernest Shackleton in 1908. He made an unsuccessful attempt to reach the pole after building a hut beside that penguin colony. 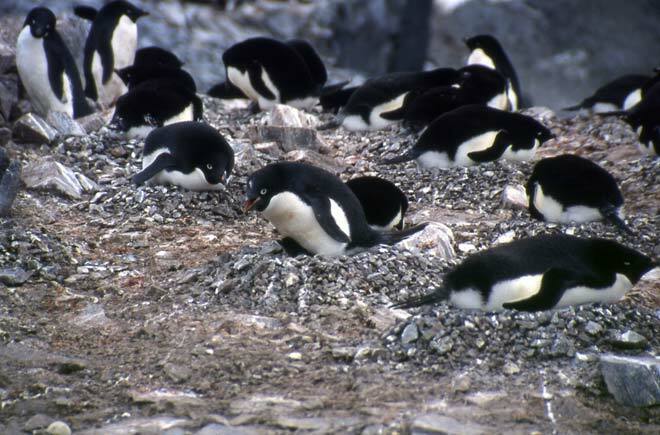 Popular misconceptions to the contrary, penguins are not found at the South Pole.